It's woven taking advantage of the special process and the original color of the metal itself. 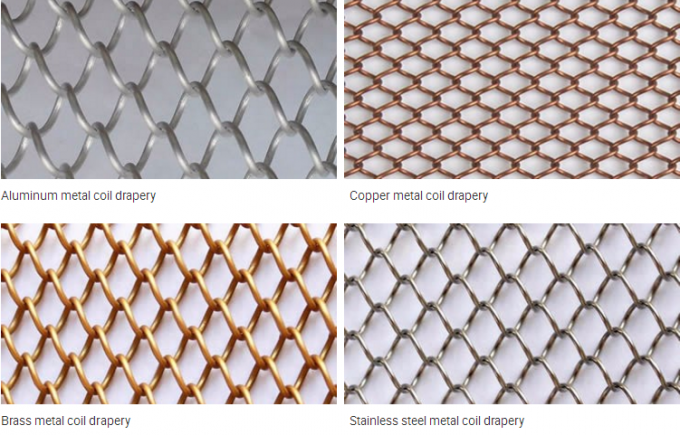 Product has the advantages of high temperature resistance, non-fading, sag, can fold, freedom of movement, convenient installation and other characteristics. This kind of treatment is most simple one. It mainly function is cleaning the oxide layer, and the metal curtain via this kind of treatment, the color will be the silvery white. This one is a little complex; This one is working to enhance the rigidity and the wear-resisting property of the Al alloy. 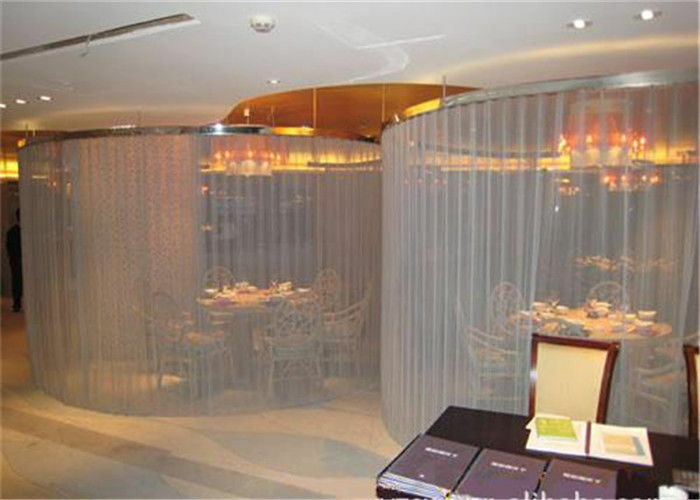 This one can color the metal curtain, and make the metal curtain more durable and beautiful. This kind is the simple one of coloring the metal curtain, it just paint mixing then put the metal curtain to the coating area to make the color. 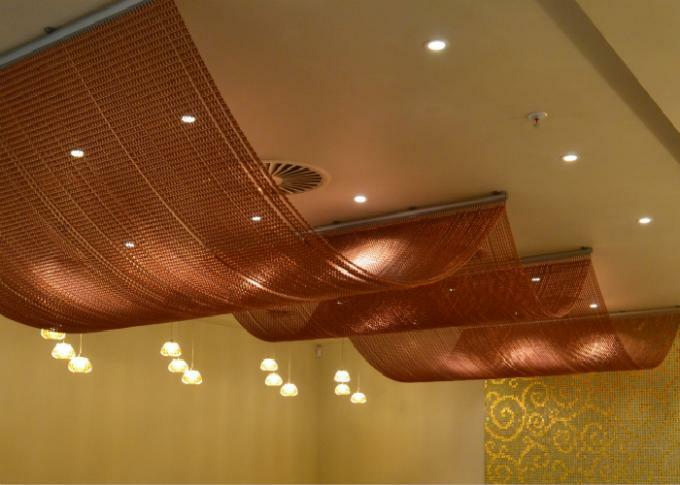 for the exhibition hall, hotels, villas, office buildings, curtains, partition wall, column surface, concealment, especially the three-dimensional decorative ceiling can show the elegant, transparent and simple and generous visual effects, combined with the use of lighting, more can reflect the characteristics of the metal material, the infinite imagination space vision.